Technological progress and innovation within VERTEX ANTENNENTECHNIK (VA) are measured by the realization of various design concepts, use of modern materials as carbon fibre reinforced composites and precisely machined aluminum panels. Additional metrology systems are implemented into the antennas to improve overall pointing/tracking performance. 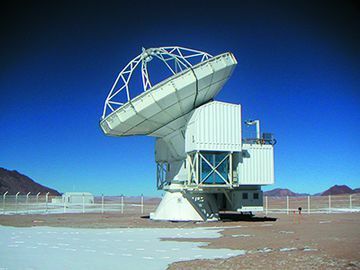 The achieved surface and pointing accuracies demonstrate VA’s in-house capabilities in the field of structures, mechanics, servo systems and alignment techniques, which enable VA to deliver state-of-the-art telescopes. Modern radio astronomy applications push our own limits continuously forward towards new boundaries, which are currently beyond the terahertz range.